The high school girls team tackled Time Trials on Saturday (8/12). 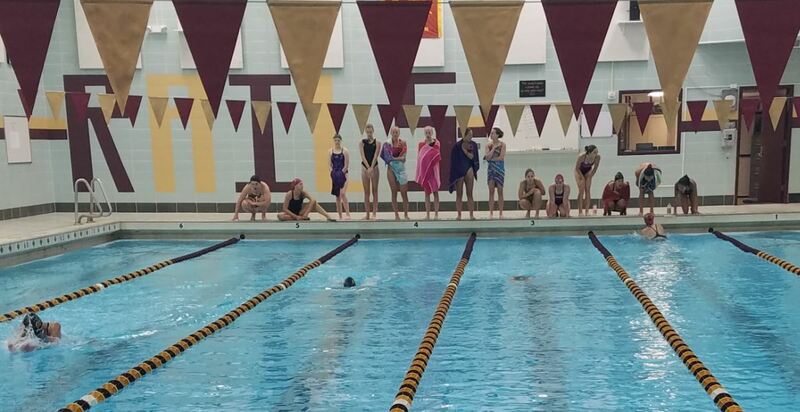 While it was only the first Saturday of the season, it’s important to have a mock meet to evaluate individual swims and splits for relay events. Those times help coaches determine the best line-up for the first few meets of season. The team did well, swimming faster than at last year’s time trials in many events. In fact, some times from Saturday were new personal best times! The improvements are truly a testament to the everyone’s hard work in the off-season. Chloe Marquis swam her 100 Fly in a 1:03, a team best. Anika Snow split a 1:01 in the 400 Free Relay, close to earning a sub :60 shirt! Here are just three photos from the meet. During season we try to take photos and we rely heavily on parent photos uploaded to the team Shutterfly website to share a few here, on social media and with the schools’ websites. Typically photos are selected 24-48 hours after the meet for team use.